﻿ PowerDyne Thrust Nylon Plates - $49.00 : Bruised Boutique, For Derby. By Derby. Durable black nylon plates with polished metal trucks for an exceptional performance. 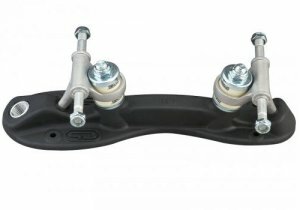 Plate assembly includes king pins, trucks, cushions, retainers, and lock nuts.